ACL surgery: Which graft is right for you? One of the questions I frequently get when I see athletes in the office who recently suffered a knee injury and I determined that they’ve torn their anterior cruciate ligament is what type of graft to use in surgery. As I discussed in a prior post, ACL reconstruction involves making a new ligament. 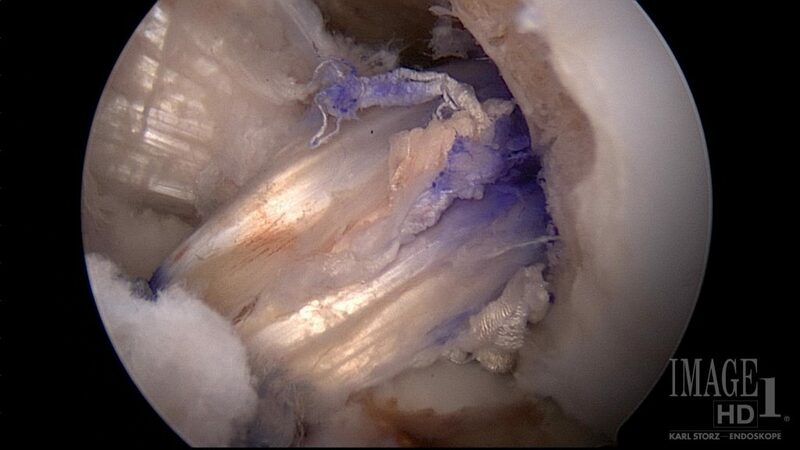 Sewing the ACL back together simply did not work when it was tried many years ago. Current techniques for the surgery involve using tissue either from the patient’s knee or from a cadaver, or donor, to make the ligament. While I do have preferences of my own, and I’ll discuss these briefly, I do think it’s important to discuss all of the options and the risks and benefits of each. What to ask your doctor before ACL surgery. The two broad categories of tissue used for ACL reconstruction are autografts, or tissue from the patient’s knee, and allografts, or tissue from a cadaver. Autografts are far more commonly used, especially when treating high-level athletes. The main autografts used are the patella tendon and hamstring tendons. Different surgeons advocate different grafts based on a variety of preferences. Both grafts have risks and benefits. Using either tendon creates a “rob Peter to pay Paul” scenario, meaning that taking tissue from one part of the knee may create a short-term deficit in that area. Patients who use the middle part of the patellar tendon often have a slight amount of weakness with knee extension in the early rehab phase, while the patients who use hamstring tendon grafts often have a slight weakness with knee flexion early on. Advocates of the patella tendon graft often cite the long track record with using these grafts and a high success rate for the surgery. Advocates of the hamstring surgery often note a slightly higher incidence of pain in the front of the knee with the use of the patella tendon grafts. On the other hand, use of cadaver grafts is rising in popularity in the United States. In theory, patients who go through ACL surgeries that don’t use their own tissue and instead use cadaver grafts do have less pain in the initial postoperative phase. Patients who are less demanding on their knees and need to get back to work quickly might benefit from a cadaver graft. Using allografts, though, can have drawbacks as well. The surgeries tend to cost more due to the cost of the graft. There is a theoretical increased risk of infection. Finally it’s thought that the cadaver grafts may not be as strong as the grafts made from the patient’s own tissue when the patient has completed the rehabilitation phase. Tips for better outcomes after surgery. From my personal experience, I think there are good indications for using all three types of grafts. I typically use the patella tendon graft, and I estimate the that of the roughly 100 or so ACL reconstructions I perform per year, 85 to 90 of those involve using the patient’s patella tendon. I’ve always thought that if sports medicine surgeons who treat the highest-level college and professional athletes use patella tendon grafts on these athletes (typically the patella tendon autografts are used most frequently in high-level athletes), then it only makes sense to use these grafts for everyone else. And in my experience it seems like the anterior knee pain that many people cite as a complication of patella tendon grafts is more rehab driven than anything else. Our physical therapists are very aggressive almost immediately after surgery trying to regain quadriceps strength. I think due to the aggressive nature of the physical therapy, we’ve seen very little anterior knee pain. I do think hamstring grafts can have equally good outcomes. I think hamstrings are the preferred grafts in kids who aren’t done growing. I have heard and read concerns over using hamstring grafts in females, but I think the data is still lacking to make a definitive statement that hamstrings are not appropriate in all female athletes. I think cadaver grafts can be useful especially for less demanding, and possibly older, athletes, although the possible decreased strength of the graft does concern me. The most important question to ask before ACL surgery? The bottom line is that I believe all options are potentially good ones for athletes undergoing ACL reconstruction. If you are preparing to undergo ACL reconstruction, I strongly encourage you to have a long discussion with your surgeon about the options and the risks and benefits of all these options. Only then can you make a decision that’s best for you and your athletic career. ake steps to recover from knee surgery quickly and safely! This course teaches you what to expect and how to prepare for surgery to have the best outcome.